A high quality CV is essential for anyone who wants to get ahead, especially in today's competitive job market. This fully updated guide shows readers how to create a brilliant CV that'll get them noticed - and the job they deserve. 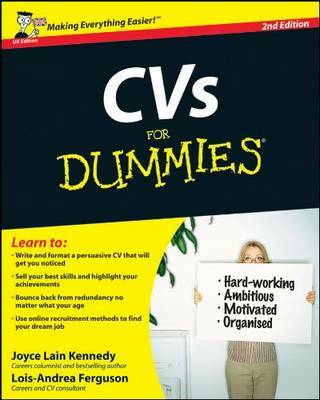 With dozens of useful sample CVs from a diverse range of industries and age groups, plus advice on structure, language and classic CV mistakes that could be holding them back, this book is the easiest way to a CV tune-up, and a dream job.